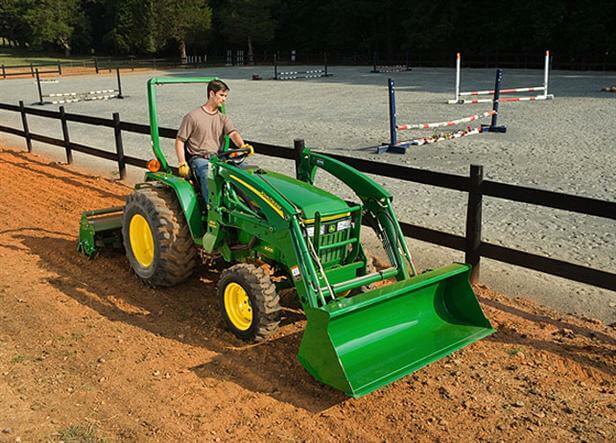 Take your notion of what a standard tractor is supposed to be and replace it with what it could be-the John Deere 3005. This no-nonsense workhorse exceeds expectations at every turn, with a price that demandsa double-take. A cast-iron transmission supplies the strength and durability you need when using a loader or backhoe attachment. Effortless power steering and standard 4WD make for tight turns. And logic and ergonomics go hand-in-hand with the at-your-fingertips controls. No longer does owning a standard tractor mean having to settle for less. Not with the 3005.